I spoke with my mother who recalled talk of milksharing in her own family but, it was in connection with an older brother who died before she was born. Then I met a Muslim friend in the street and we talked about how in her culture babies who are not part of the same family but have been breastfed by the same woman are considered siblings and therefore can't marry. I called some associations in Alicante and a lovely girl told me that although she didn't know where I could find historical information, she did mention that her late grandmother breastfed other children. What I was looking for I couldn't seem to find so I just tried to relax with my family. 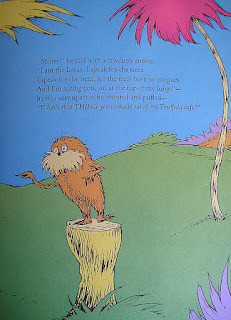 So we rented the movie The Lorax based on the tale by Dr. Seuss. It's an ecological story of how greed destroyed nature until everyone forgot how nature looked like and what impact it had for ourselves and all the things around us. 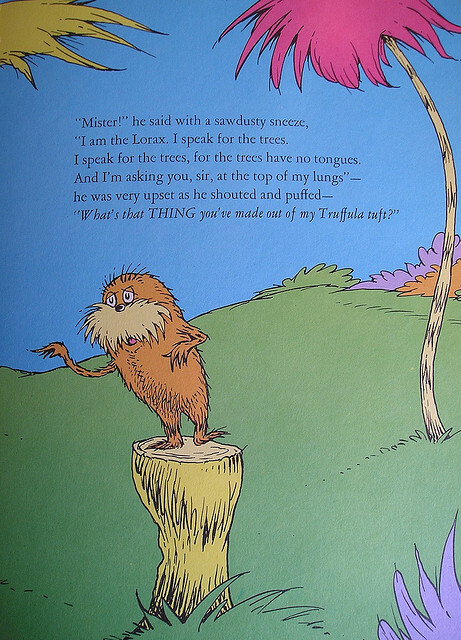 There is a point in the story where the main character is explaining what real trees are like and the evil guy trying to control everything reacts by shouting how disgusting the earth is and how it breeds dirt and bugs and pollutes the air. He has become rich and all powerful by selling bottled air to people in this polluted world and I couldn't help thinking of the similarities with the way milksharing is depicted today on the few ocassions that it is even mentioned: as something that is weird and disgusting, risky, dirty even, as something that it is alien to us when actually it's what makes us us. we had expressed, something that for me came naturally after feeling my milk building up as the mum was telling me she needed help. I never felt anything beyond the fact that a human baby needed milk, a friend's baby. I had milk so why wouldn't I help? It was as natural as if someone was crying and I happened to have a handkerchief with absolutely no relation to the social perception of women fighting each other in their motherhood capabilities according to production, quality or endurance of their 'job'. and indeed the babies of others. I am glad that even if I was personally unable to find out much from our past culture of milksharing, perhaps because milksharing was seen as an ordinary act of love within the greater matriarchal story that remains unwritten, I was thrilled to see so many references in my life to the new seed that will not allow our 'tree' - the milk of human kindness - to be forgotten.